Town of Bath - partial funds offeredfor completing the Historic District Architectural Guidelines. 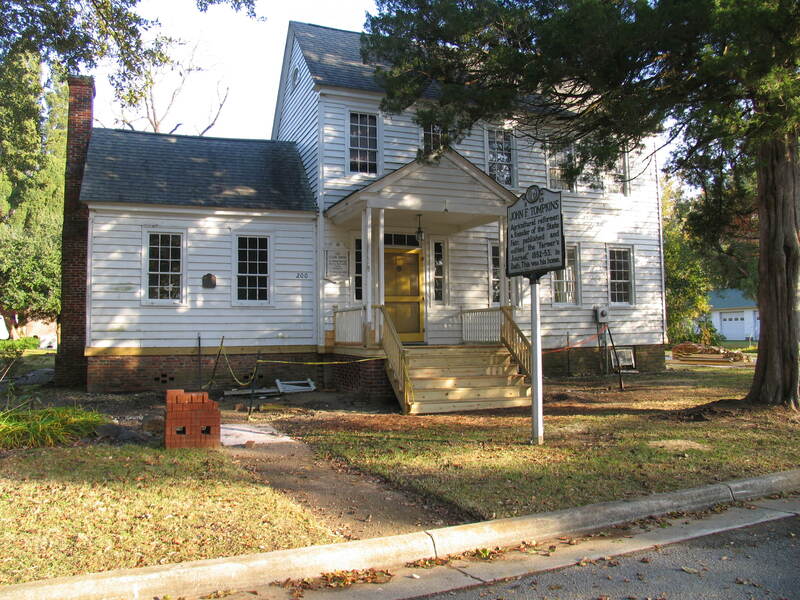 Restoring History: The St. Thomas Glebe House Committee was awarded a 2012 Large Grant Award of $10,000 for restoration efforts of the Glebe House on Main Street. This house is purported to be the third oldest house in Bath. 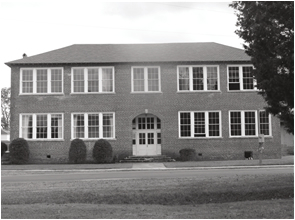 Bath High School Exterior Restoration - BHSP, Inc.: the Foundation provided $25,000 in 2011 to this project. Additional funds were provided in 2010. 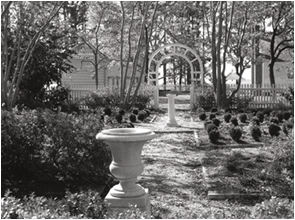 19th Century Bonner House Garden - Historic Bath State Historic Site- Creating a magical garden: the Foundation provided $20,000 to the Bonner House Garden project. 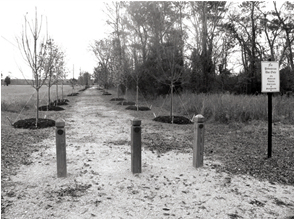 Lawson Walk at Bowen Avenue - Town of Bath: the Foundation provided $10,000 to this project. Town of Bath - Bath Fest Committee awarded funding for reenactor. Historic Bath State Historic Site/Historic Bath Commission was awarded funds for colonial clothing in preparation of the 300th Anniversary of Port Bath. celebrations In addition, funds for the Aida Mae Skipjack and Colonial Port Customs House was sponsored for Port Bath. State Dock Pilings Repair – The Historic Bath State Historic Site received $1000 to place plastic end caps on the pilings at the State dock at Harding’s Landing. Many of these pilings have begun to rot from the inside out and these caps will protect them from further disintegration. Bath Booklet Printing - The Bath Fest committee was awarded $400 to print materials for 500 booklets on Bath history and architecture. These printed materials will be used in a bookbinding activity at Bath Fest in May 2015. Chimney Repairs at Bath High School – The Bath High School Preservation received funding in the amount of $2500 to go towards replacing missing brick and capping five chimneys at the High School. Port of Bath Educational Materials – Gillian Hookway Jones was awarded $1200 to work with the Port of Bath Committee to create a number of educational materials related to the history of the Port of Bath. Purchase, renovation, establishment of preservation protective covenants, and sale of the G.W. Marsh Stores, 115 S. Main Street. Purchase of "Bridge lot", located at NE base of Bath Creek bridge, for the purpose of creating a green space and town park. Educational Material for the Queen Anne’s Revenge Exhibit – In the summer of 2014, an exhibit on the Queen Anne’s Revenge excavation will be on display at the Historic Bath State Historic Site. Funding has been granted to the historic site to create educational materials to accompany the exhibit. Ground Water Diversion for Bath High School – Bath High School Preservation has been awarded funding to install additional gutters and a French drain to aid in drainage of the library wing of the school. Pirate-Themed Play and Learn Area – Girl Scout Troop #3556 has been awarded funding towards their project in creating a pirate-themed outdoor learn and play site in Bath. Van Der Veer Smokehouse Project – Funding has been granted to the Historic Bath State Historic Site to make needed repairs and purchase materials that will allow the Van Der Veer Smokehouse to be interpreted as a working smokehouse. The interior of the structure will be converted to appear as a working smokehouse with the addition of faux foods to represent smoked and salted meats. History and Genealogical Section of the new Bath Library -Friends of the Bath Library. Unlocking the Doors to Bath's History - HBF awarded a small grant to Historic Bath State Historic Site for Unlocking the Doors to Bath’s History. Read more in the Spring 2012 newsletter.